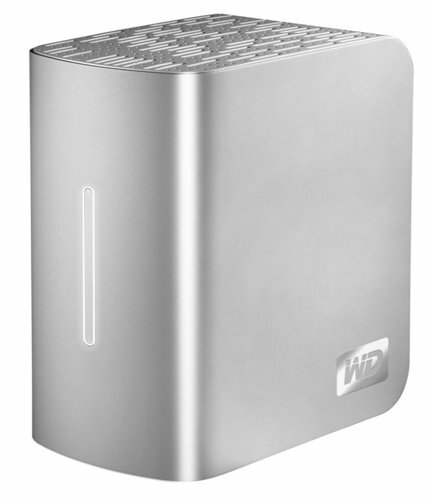 Western Digital has upgraded its two-disk My Book Studio II external hard drive to a whopping 6TB of capacity. Aimed at Mac fans, the drive comes formatted using the HFS+ file system. That makes it ready for Mac OS X's Time Machine auto-backup system. You'll need OS X 10.5 Leopard or above - 10.4 doesn't support drives larger than 2TB. Nor does Windows XP, if you fancy using the drive with a PC. Vista and 7 are just fine. Mac buffs won't be impressed with drive's eSata connector, but they'll be able to use the Firewire 800 port and the USB 2.0. There's a Firewire 400 port for older Macs. The My Book comes with Firewire cables. It's a shame there's no Thunderbolt connection, but we're sure that'll come. Eventually.